Having an outdoor kitchen with granite countertops leaves your options wide open when it comes to entertaining. You can have people over, no matter what type of weather you may face. It is important that you know what you want out of your backyard before you have an outdoor kitchen built. That way, you can be sure to use the right materials and have the right flow for the space. The more you know before going into an outdoor kitchen build, the more you will get out of your new space. What Will Look Best When You Go with Outdoor Kitchen Granite Countertops? Every type of granite, from solid colors to streaks and blends, is going to give your outdoor kitchen a different look. It is up to you to decide what type of a look you want in your backyard. Some of the granite countertops are going to have slightly different dimensions than others, based on how the granite naturally formed. If you have your heart set on one type of look, you may have to change the flow or the size of one part of your outdoor kitchen. Each look will give your outdoor kitchen a different look. Granite countertops make a powerful statement. They can say upscale without being overbearing. Or they can give you a more traditional look, depending on the style of your home. Modern kitchens often have granite countertops, so this can extend your current kitchen into your outdoor space if you match up the granite you use. If you want a unique look, consider pairing your granite countertops with alternative materials. One such material to consider is brick. It is an easy material to create a pattern with, and it can combine to make a striking look. The simplicity of both the brick and the granite countertops can give you a very powerful looking kitchen. Another option that works great with granite countertops is stone. This can give you accents in any color, shape, or pattern you may desire. There are tons of different stones that can work with your outdoor kitchen. All you need to do is ask the professionals installing your granite countertops which stones will work best. Since only some stones work well when cut flat, it is important you know which to consider and which to avoid. Tiles can also work well with granite countertops. You can go simple and have just white tiles offset the colors of your granite countertops. Or you can opt for something statelier, such as metallic accent tiles. No matter what color, pattern, or style you want, there is a tile out there that has it. Another option that many consider less is cement. It is a great accent to granite countertops, and can last for many years. It is also able to hold nearly any color you want, through the tinting process. 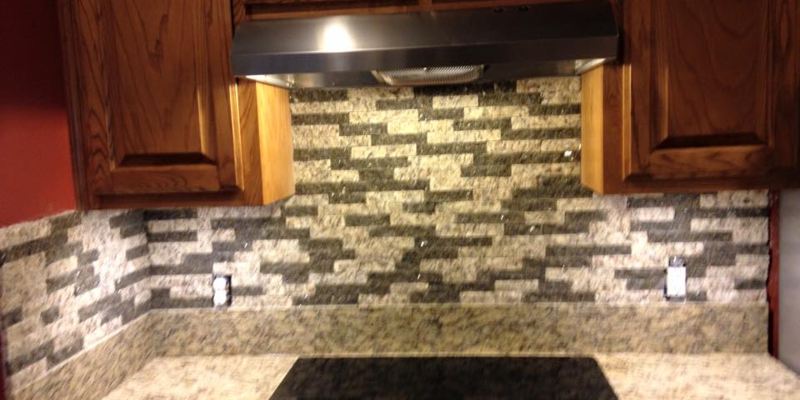 Do not be afraid to mix up materials when you want to work with granite. It can work with nearly anything you throw at it. When you decide to use granite countertops in your outdoor kitchen, it gives you a lot of versatility. They are nearly indestructible, and last for many years when properly maintained. All you have to do is make sure to keep them protected, clean, and out of the direct harm of elements. Covering them when not in use can help them last many years, even outside during the heat and cold spells. Some granite countertops are short, making them ideal for smaller eating areas. Other granite countertops are deeper, making them ideal for island applications. No matter what type of format you have picked out for your outdoor kitchen, you are sure to get many years of use out of your granite countertops so long as you use the right sizes in the right places. When you make the choice to put granite countertops outside, make sure you turn to professionals to install it. You want someone that understands the ins and outs of granite specifically. They will best be able to tell you how you should maintain your new countertops to make sure they last as long as humanly possible. The more information you can get during the installation of your granite countertops, the more prepared you will be to take care of them once the professionals go home. Ideally, you want installation experts who also maintain granite for some of their clients. That way, if you ever need help maintaining your outdoor kitchen, you know who you can trust! For more information on the benefits of granite in your outdoor kitchen, call on the pros at Granite Huggers. You can reach them by calling (972)670-4533. Contact them today and find out what suggestions they have to help you get the outdoor kitchen granite countertops of your dreams.